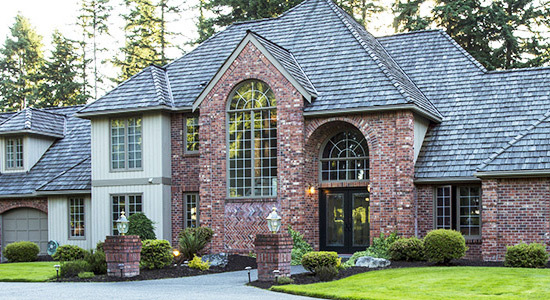 While window cleaning itself can be tricky and complicated work, choosing the right professional window cleaning professionals doesn’t have to be. All you need is the right Thornhill window cleaning company, one that looks after you and your needs while providing professional and friendy service. At NICK’S Window Cleaning, we excel at providing window cleaning Thornhill residents have grown to depend on. If you’re in need of a clean windows, be sure to call NICK’S Window Cleaning. NICK’S Window Cleaning is more than a name, it is literally what we are. All of our cleaners are professional and courteous people with a love of service work, which means they’ll do a great job window cleaning in Thornhill that’s sure to put a smile on your face. As you’ve probably noticed, there are plenty of options for window cleaning in Thornhill, but there are few who offer the service levels and professionalism of NICK’S Window Cleaning. Having great interactions with our clients is key to our business, which is why we make quality and friendly customer service a key aspect of our business. We take window cleaning very seriously, not just because it’s a passion of ours, but because we work to provide a level of service that’s better than the rest. While some window cleaning companies prefer to avoid the discussion of safety procedures, insurance, and bonding, we here at NICK’S Window Cleaning pride ourselves in taking these things seriously. All of our staff, besides being thoroughly trained, are fully insured and bonded. This not only protects them, but protects our clients, and that is something we believe is extremely important in this work. So while adhering to these procedures may be an extra expense, it’s one we gladly use to show we care about our clients, our staff, and our work. Here at NICK’S Window Cleaning, we understand that when you have your window cleaning service is just as important as how and why. That’s why we’re ready to provide our window maintenance services six days a week, and at almost any time throughout the day. So whether you need us bright and early, or if you’d rather have us come on the weekend, we can create a schedule that helps our services meld seamlessly into your life. Window cleaners in Thornhill traditionally provide a very rigid service. Plans are created and then companies and clients are shoehorned into the one that best approximates their needs. It’s an effective way of doing window cleaning, but it isn’t the best. At NICK’S Window Cleaning, we sit down with all of our clients and create customized plans that suit their needs, budget, and expectations. It is a better way to do business and one that leaves our customers happier and more satisfied with our services. NICK’S Window Cleaning is the leading window cleaning company in Thornhill, providing full window cleaning to all residential and commercial properties within a 3 storey height limit. Our services include cleaning your windows on the inside as well as on the outside, providing maximum clarity and cleanliness. Our professional, personable team is fully-insured and highly knowledge in the art of window cleaning and we aim to provide the highest-quality service you can find in Thornhill. We are not just cleaning windows, we’re building relationships by providing an exceptional and unparalleled level of customer service and workmanship. Contact us today to discover why NICK’S Window Cleaning is a leading choice amongst window cleaning companies in Thornhill. Professional window cleaners know how to get the job done fast. They’re experts at getting grimy windows sparkling clean. They have the commercial grade cleaners and other equipment to get the windows on your home cleaned fast. Unless you have days to spend trying to get months or even a year’s worth of debris off your windows it’s much better to let a professional handle the job. Only a professional window cleaner will give you the kind of results that you want. Homeowners don’t have access to the same commercial grade cleaners and equipment that professionals use. Professionals know which type of cleaner is going to work best for your windows. Different types of windows require different types of cleaners. And special cleaners may be needed to get rid of caked on dirt or debris. Some homeowners even end up with fungus on their windows. There’s a particular kind of mulch that many homeowners use that emits black spores which are carried by the wind and land on siding and windows. Getting that fungus off safely is definitely a job for a professional window cleaner. Window cleaners do more than just scrub your windows. They also seal the glass with a special protector to resist grime, dirt, dust, sand and other debris. While a professional is cleaning your windows they will look for any potential problems with your windows and the areas around the windows. They can spot potential problems like wood rot in the window frame or sashes. They can let you know if your window frames are painted shut which could be a safety hazard. And they can look at the general condition of your windows and frames and alert you to any potential problems or damage that needs to be fixed.